Rising star Amanda Black has blown Mzansi away by her incredible musical talent. 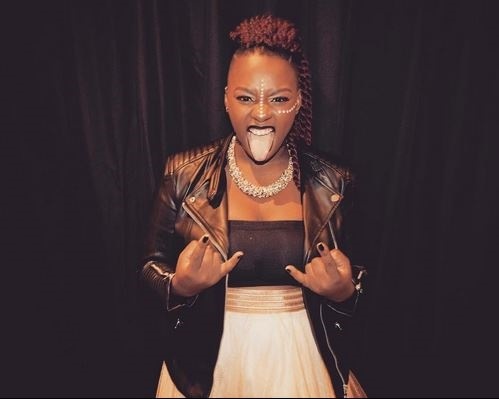 We give you seven interesting facts about Mzansi’s best new artist. 2. She was born on the 24 July 1993 in Mthatha, Eastern Cape. 3. Her debut studio album Amazulu was certified platinum three weeks after its release. 4. She studied Music Education at Nelson Mandela Metropolitan University in Eastern Cape. 5. The first time Amanda entered the South African music reality show Idols when she was only 16 years old. 6. Growing up, Amanda did not like the fact that she is dark skinned, she says because TV celebrates light skin and she felt like she was not good enough because she is dark. 7. The reason why Amanda has the traditional face painting dots on her face is because she is proud to be Xhosa and African. 5 PICS: DJ TIRA BLESSES HIS CREW WITH CARS!